Angela has been working in the dental field for seven years so far, and she first joined the Dental Dynamics team in 2017. Her favorite part of this position is getting to build such strong bonds with patients over time! Originally from Carpentersville, Angela comes from a loving and crazy family. Her hobbies in her free time include shopping and traveling. She’s also very passionate about learning new things whenever she has the opportunity. Ida’s career in the dental field first started in 2000. She attended Medical College in Riga Latvia for her education. She really enjoys being around people and helping them feel at ease through her job! Ida has been married for nearly 35 years now and has two children and two grandchildren. Her hobbies outside of the dental office include doing yoga, being outside, and spending lots of quality time with loved ones. She is also bilingual. 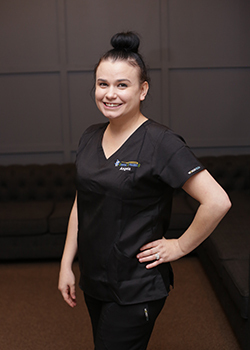 Paulina has been working in the oral healthcare field for nearly a decade now, and she really enjoys how everyone in the dental office (including the patients!) feel like one big happy family. She has studied at both Lewis University and the College of DuPage. In fact, she’ll be graduating from dental hygiene school in May of 2019! Paulina is from Elmwood Park and has a small family that is very close to one another. When she isn’t busy at work, you can often find her practicing yoga or spending time at the Cycle Bar. 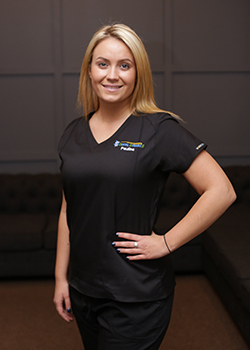 Julia joined the Dental Dynamics team in 2017. 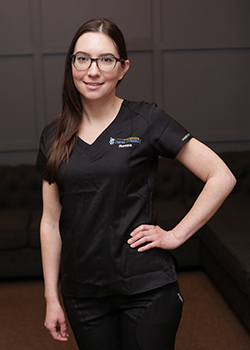 Before that, she earned her Associates of Applied Science through Harper College’s Dental Hygiene program and also became certified in local anesthesia and nitrous oxide. Her favorite part of this job is being able to educate patients about how to improve their oral health and achieve a perfect smile. Originally from Des Plaines, Julia’s family consists of her parents, her two siblings, and two dogs named Penny and Coconut. Her hobbies include running, horseback riding, trying new restaurants, traveling, cooking/baking, practicing photography, painting, and spending time with loved ones. She has a very bad fear of butterflies! Renee is from Chicago and attended Loyola University before pursuing her dental hygiene education at Sanford Brown. 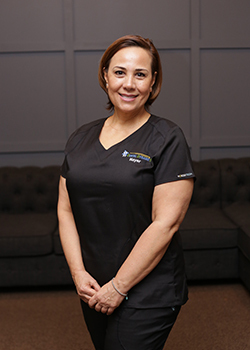 Today, she has worked in the field for 15 years and counting, with 10 of those spent as an assistant and the rest as a hygienist. 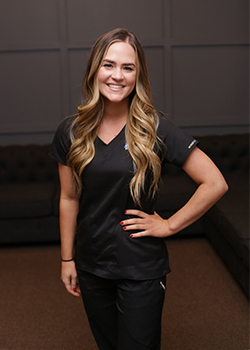 She really enjoys developing strong relationships with her patients and earning their trust so that they can feel more comfortable in the treatment chair. Renee comes from a small and close-knit family. Her hobbies outside of work include cooking, baking, trying new food, and traveling to brand-new places. Nayereh earned her education from Kennedy King College and has received training in local anesthetic and nitrous oxide administration. Today, her career in the dental field covers over 15 years! 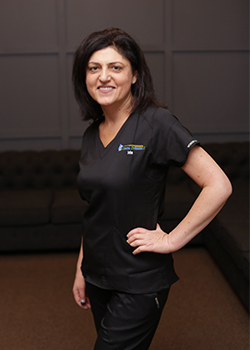 She really loves working with patients so closely and developing warm and trusting relationships over time. Nayereh is originally from Tehran in Iran, and she’s married with three grown children. Her hobbies when she has spare time include reading and cooking. She also speaks three languages – Farsi, Turkish, and English.